The Center is fortunate to have a terrific group of employees who are specially trained to meet the needs of ambulatory surgical patients. 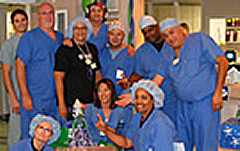 The focus of their work is the safety and comfort of each and every one of our patients. Their training and competency is carefully monitored by the facility leadership. Over the years we have cultivated a culture of safety and a can do spirit that makes the Oasis Surgery Center a preferred place for your physicians to work. 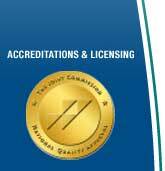 All of our recovery room nurses are certified by the American Heart Association in Advanced Cardiac Life Support. Every employee is Basic Life support trained. We have a large number of operating room nurses who are CNOR designated by the American Operating Room Nurses Association. A designation we are very proud of. “I work here because the Oasis Surgery Center genuinely cares about the welfare of the patients it serves.